This port-royal jacket is for the rebel souls and bold babes, The Vanca presents the jacket that is sure to make you the talk of the town with your cool style. Made from leather, this jacket is comfortable and features diagonally placed zipper for the closure and shirt-collar. The added attraction to this jacket is the zip at the sleeves. This jacket can be styled with a tank top, a pair of blue jeans and calf length boots to look your very best. Dust the jacket with a gentle brush or cloth. If your leather jacket has been left in the closet for a while, it may need dusting. To avoid scuffing or damaging the leather, use a dry cotton cloth, nubuck cloth, or camel hair brush. Take the jacket to a dry cleaner specializing in leather. If the above methods do not remove a stain from your jacket, take it to a dry cleaner that specifically advertises leather-cleaning services. Never wash a leather garment in a washing machine or washtub. 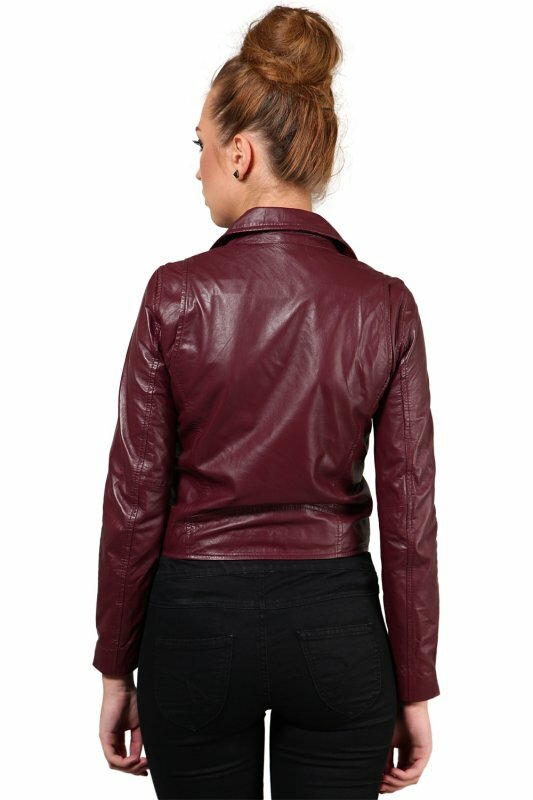 Unbelievable price on Leather jacket in port royal color in Gurgaon (India) company THE VANCA.